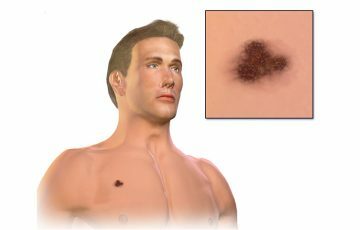 Most people think of skin cancer when melanoma is mentioned, and it is no wonder with the phrase melanoma skin cancer. Well, it is a type of skin cancer, the rarest but most deadly. The disease gets its name from the fact that it develops in melanocytes. These are cells located in the bottom layer of the epidermis. The cells make melanin. Melanin is the substance that makes the skin, eyes and hair look the way they do. Without melanin, the skin would be uncolored. Cancer develops in a very peculiar manner. There are no disease causing organisms such as viruses or bacteria involved. The disease develops when normal cells get out of control in regards to controlled cell division and cell death. 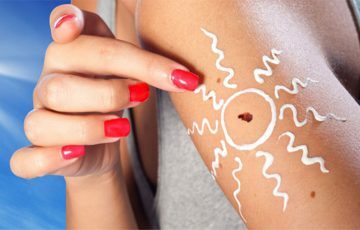 This means that affected cells will still be able to carry out cellular functions, such as the production of melanin in the case of melanoma. 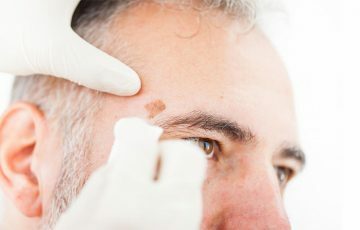 This is why most melanomas are dark or brown. Sometimes, affected melanocytes may not be able to make melanin. This results in amelanotic melanoma (AM). The disease is often misdiagnosed or caught late due to this characteristic. Amelanotic melanoma pictures may help. Of all melanomas, about 7% are amelanotic in nature. 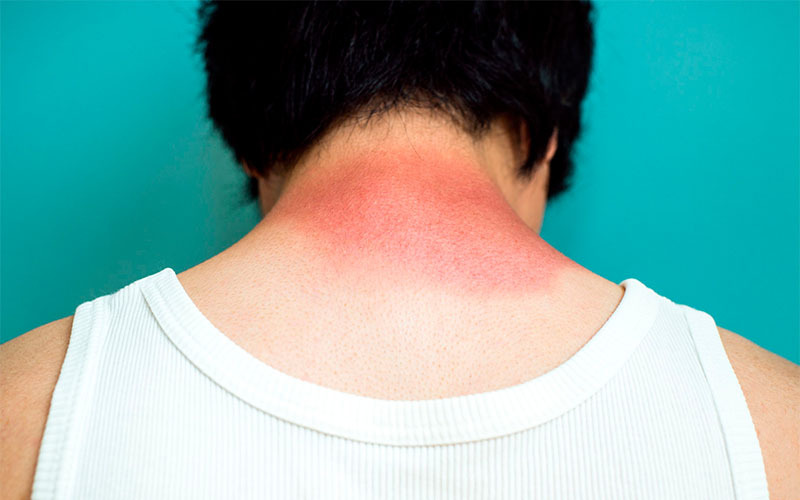 Most cases are reported in individuals with a history of sun poisoning. If melanin is absent, it means that the resulting spots or bumps will take the color of the skin, be pink and sometimes red. This can be seen in most amelanotic melanoma pictures. 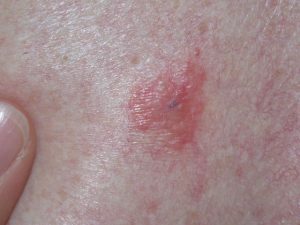 Red melanoma may however indicate nodular melanoma, a very aggressive and dangerous type. Regardless of the type of cancer or melanoma, cells will keep dividing rapidly. This means that changes will be occurring from time to time. Common changes include enlargement of the tumor and loss of symmetry. Normal moles are oval or round in shape. 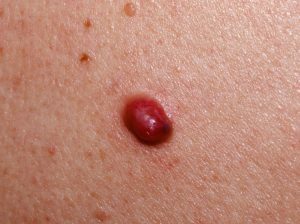 Melanomas tend to be elevated and dome-shaped. This is with the exception of melanoma on hand or the sole of the foot. 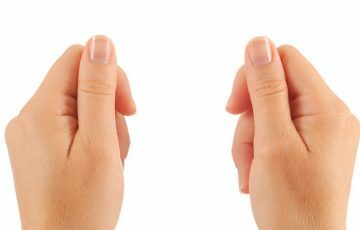 Melanoma on finger will also not be elevated if it occurs on the side. Note that any type of melanoma can develop into the amelanotic type. 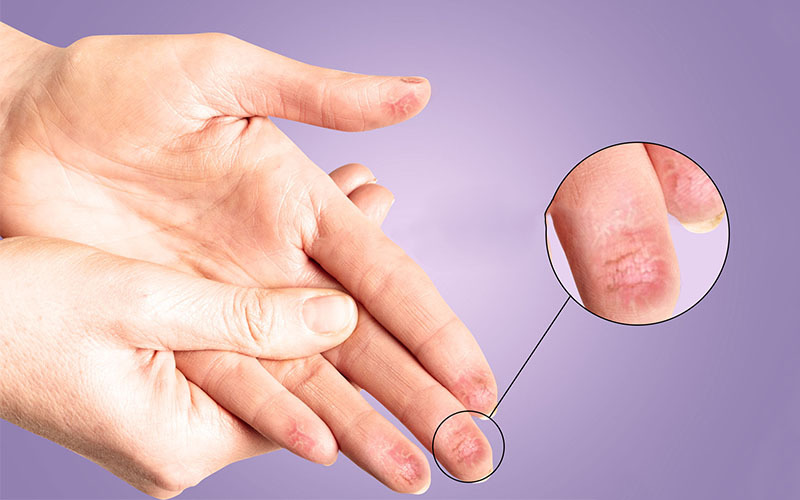 For example, acral lentiginous melanoma pictures may show a pinkish broken nail or a red lesion on the skin near nail plate. This means that the melanoma is of both acral lentiginous and amelanotic types. Doctors usually require details on the symptoms of a suspicious lesion and the patient’s medical history. The details will be very important in confirming diagnosis. You find that AM doesn’t only mimic normal skin growths but also other types of skin cancers. 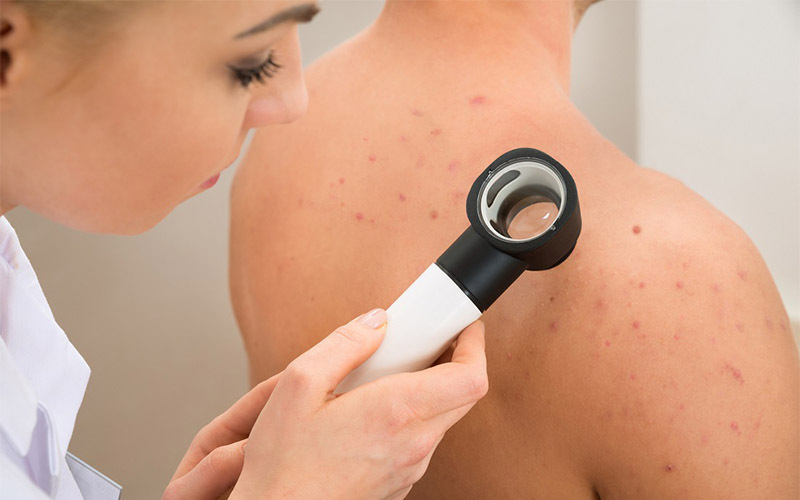 Dermoscopy is usually performed as part of diagnosis. The doctor will evaluate the consistency of pigmentation. This is only possible if the lesions are pigmented in the first place. Outline of blood vessels in the lesion will also be evaluated. Malignant tumors usually develop their own rich network of blood vessels for nourishment. 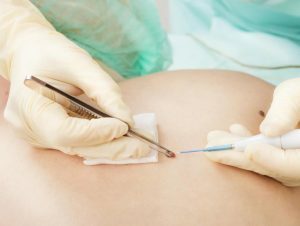 After dermoscopy, excision melanoma biopsy will be taken. This is very important in amelanotic melanoma cytology. The problem of lacking pigmentation still persists even with biopsies. But when examined under powerful microscopes, some pigment residuals can be identified in AM tumors. Presence of pigment confirms the cells to be melanocytes. Late diagnosis is the chief problematic issue affecting amelanotic melanomas. 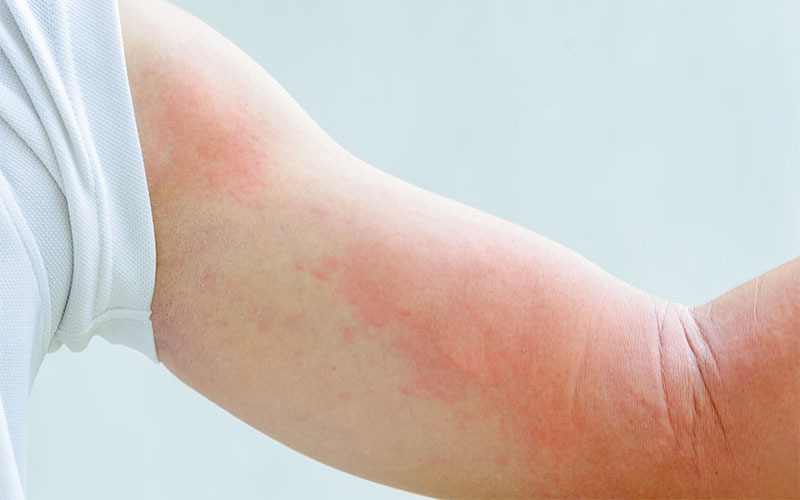 Even on easily seen body parts such as the arms or legs, the disease may still go unnoticed. It is for this reason that doctors urge people to get any changing, red or elevated lesions checked. 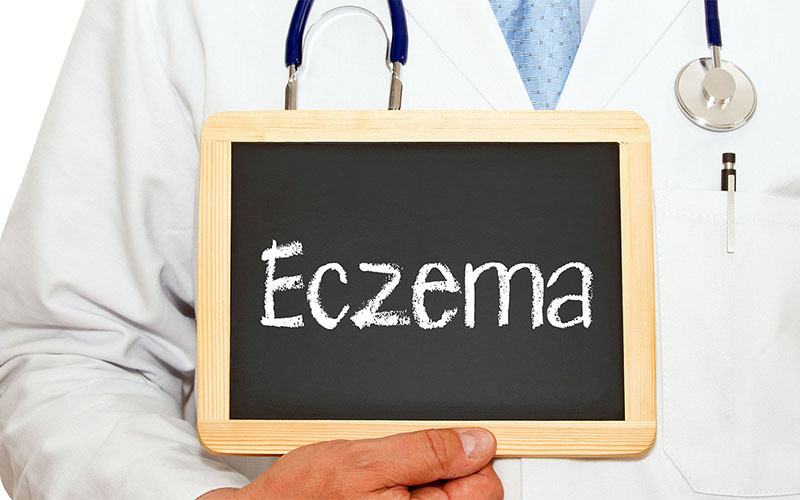 This also goes for lumps and spots in body regions that may not allow for physical examination. 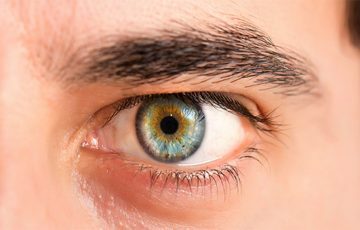 Topics such as what does vulvar melanoma look like, mucosal melanoma symptoms and eye melanoma can be of some help in this regard. This is the most common staging system for melanomas. Stage 0 – it indicates that tumors are still confined to melanomas in the epidermis. Cells with the ability to divide quickly are still in small numbers. Survival rate is best at this stage. Unfortunately, most AMs are caught after this stage. 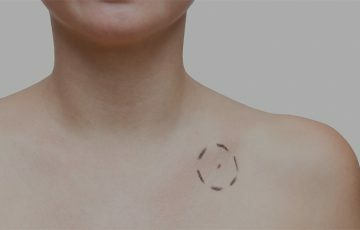 Stage 1 – typical signs of melanomas such as incremental growth in size and thickness has set in. Some tumors may be ulcerated but most are not. In this stage, tumors are less that 2mm in thickness. 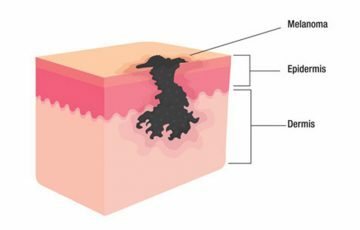 Stage 2 – rapid division of cells has pushed tumors into the dermis. This increases both the level of penetration and thickness of the tumor. Signs of enlargement are more pronounced. Stage 3 – tumors have reached far enough into the skin to reach lymphatic vessels. Once several malignant cells break free from the primary tumor into the vessels, it is emptied in local lymph nodes. Nodes that contain melanocytes become invaded. Signs may include ulceration and swelling of lymph nodes. Stage 4 – malignancy has spread to organs much further from the primary tumor. T – It describes the location and thickness of the tumor. The information determines how the tumor will be removed. N – It stands for nodes and describes how much lymph nodes have been involved. In the best case scenario, only 1-3 lymph nodes will have been affected. These are removed with surgery. Advanced stage 3 involves more than 4 local or distant lymph nodes. M – It stands for metastasis and explains the involvement of distant organs such as lungs, liver and brain. 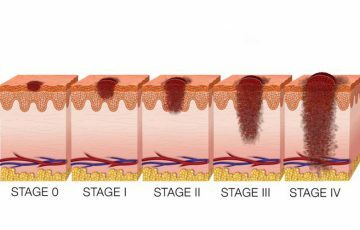 Clark’s staging levels – level 1 is for tumors that are confined to the epidermis. This is the bottommost part of the uppermost skin layer. Level 2 is for tumors that have reached the dermis. 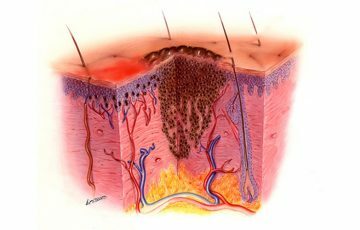 The dermis is the immediate layer after the epidermis. Levels 3 and 4 are for tumors that have reached past the dermis but still have not migrated from the skin. Level 5 indicates tumors that have reached the fatty layer of the skin. Breslow’s thickness – Breslow’s thickness measures the size of a melanoma from the outer layer to the bottommost tip of the tumor. It is very important in prognosis. Tumors reaching very deep into the skin are more likely to spread. Amelanotic melanoma treatment doesn’t much differ from that of other types of melanoma. It mostly depends on the stage the tumor is in. Since tumors in this stage are wholly in the epidermis, an excision surgery will effectively get rid of the same. Tests may be performed to ensure that malignancy has not spread to lymph nodes. Surgery is still the primary treatment of choice. With the help of images from imaging tests, an excision margin will first be set before the tumor is cut out. Some surrounding tissue will also be cut out. Radiotherapy and chemotherapy may also be used to completely kill AM cells. Tests are very important to check for malignancy in local lymph nodes. Surgery is done to both remove the primary tumor and remove lymph nodes that have been affected. After the surgery, chemotherapy and radiotherapy are often given. Drugs that block checkpoint proteins may also be administered to prevent recurrence. Checkpoint proteins are substances that keep cancer cells from being attacked by immune cells. Sometimes, substances that increase production of immune cells may also be given. At stage 4, amelanotic melanoma will have to be fought on several fronts. Surgery may be done to remove the primary tumor and other accessible ones. If necessary, entire organs will be removed. Many patients require radiotherapy as a means of improving quality of life. This is especially in regards to reducing pain caused by spreading tumors. Radiotherapy can be done eternally or have radioactive substances injected directly. Chemotherapy is also a common treatment option for stage 4 AMs. It involves use of drugs to shrink tumors or destroy them. Other options include targeted therapy and immunotherapy. Targeted therapy uses drugs to inhibit some molecular functions of amelanotic melanoma cells. Drugs that break down the tumors may also be used. As for immunotherapy, the body’s natural defense mechanism is boosted. This increases its ability to recognize and destroy cancer cells. The common way of achieving this is by inhibiting checkpoint proteins or stimulating more production of immune cells. UV radiation is thought to trigger most of the changes that ultimately lead to melanoma. It is therefore thought that avoiding both natural and artificial sources of the radiation may help prevent melanoma. Regardless, some melanomas seem to have come out of nowhere. The only way to prevent such is by getting medical screening as soon as first warning signs occur. As you may already know, the survival rate for early stage melanoma is very high.